The next day. I separated the cast lenses from their molds. 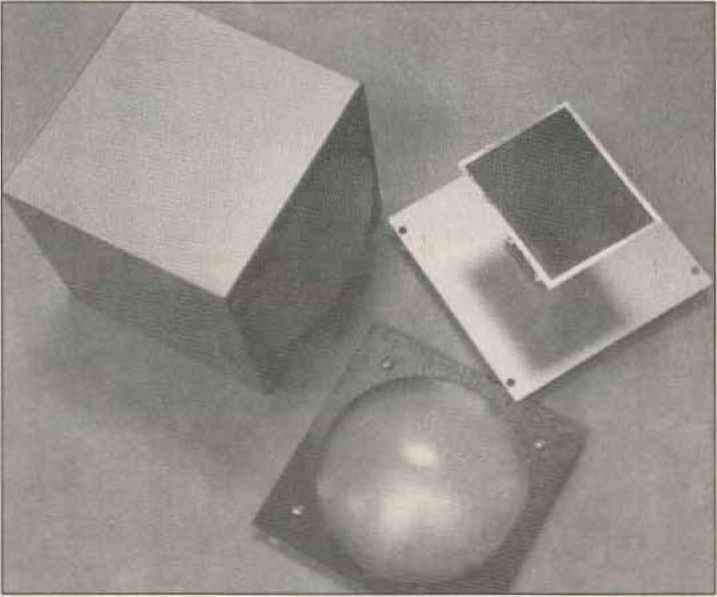 The molds .survived and could be used again. The edges of the lenses were rough and chipped, so I decided to trim or "edge" the lenses. 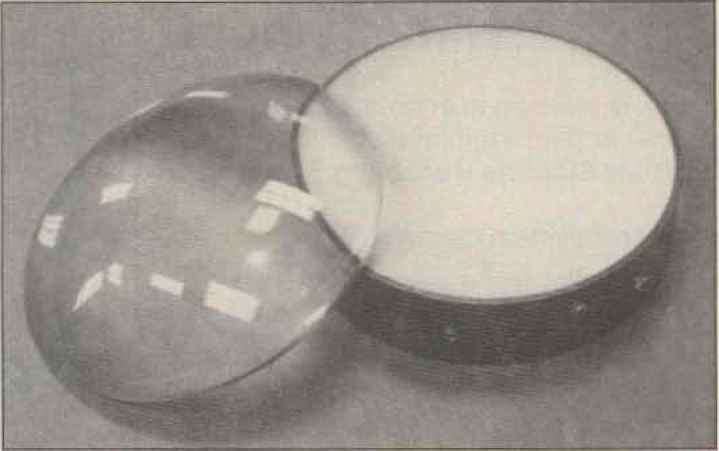 I used a cylinder with an outside diameter of 5 inches—the hood from an old oscil-loscope—to mark the lenses. (See Figure 3.1 i he actual edging was done with a disk sander and only took a couple of minutes for each lens. After the edging, the next lask was to mount the lenses. Normally, lenses are mounted in a finely-machined barrel with a threaded retaining ring, I can operate a lathe and chase threads, hut let's be reasonable! Instead. I epoxied a 5V4-inch-square piece of '¿ inch acrylic 10 the Hat surface of each of the epox> lenses. r$ee Figure 4 ) Then I drilled four mounting holes in each acrylic square. Light sanding of each lens, followed by a couple of coats of clear acrylic spra>, finished [he lenses. The sanding is for two reasons. 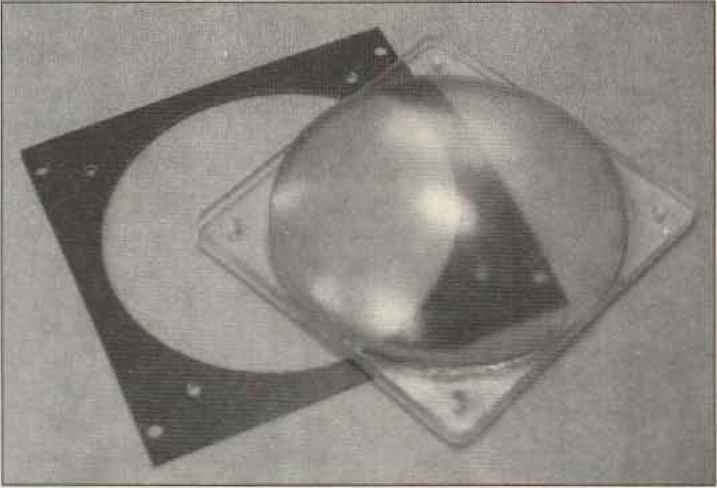 First, although the lenses arc of poor optical quality , they can still produce a very hot spot when aimed at the sun, unless their surfaces receive a ground scattering finish. Second, they look better with an even. IVosted appearance. Ph oto A. Or i gbtal jss t ens and p laste rmok i. Photo B Cast lens epoxied to acrylic plate and lens mounting pi me. Photo C Mounted lens, mounted httrn and complete antenna. I placed a standard gain horn on both the transmitter source and the receiving setup, and tuned the detector mount for maximum response. Then I set the S-meter to mid scale by adjusting the variable attenuator. The attenuator sett i ng at this point became my reference reading Substituting other antennas on the receiver setup, the attenuator is changed to maintain a midscale meter deflection. The reference reading is subtracted from the new setting. 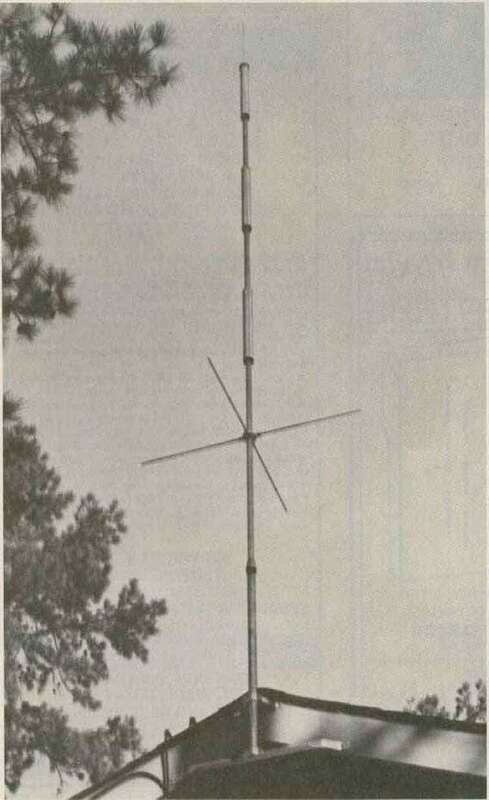 The result is added to the gain of the reference antenna io yield the gain of the new antenna.